Ted Blachly has been a woodworker / furniture maker for over forty years and became a juried member of The League of New Hampshire Craftsman in 1989. He also was involved in the formation of the Guild of NH Woodworkers where he met Jere Osgood in 1990. In 1993 he started to occasionally assist Jere in the shop, an association that has been ongoing since then. 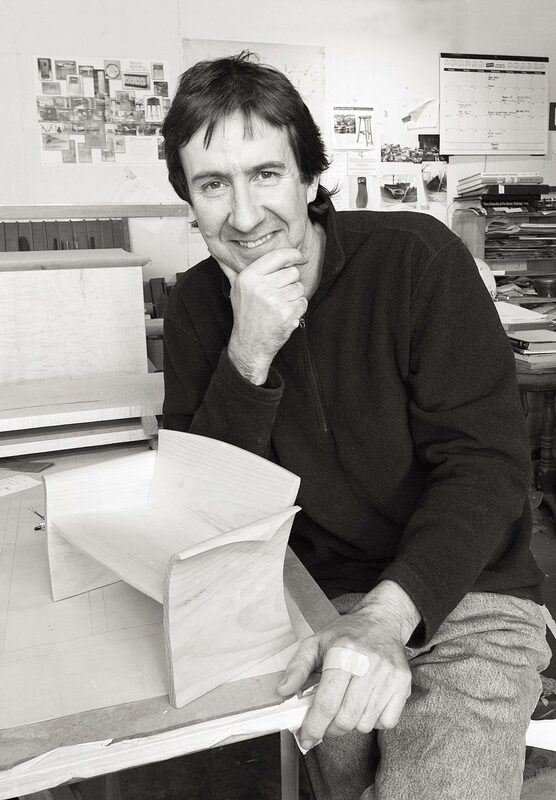 In 1995 he was an invited artist in the inaugural exhibition of the NH Furniture Masters Association and has been an active member since the groups inception. Blachly works mainly on commission and does occasional exhibition pieces at his studio in Warner, New Hampshire. His furniture is represented by Pritam & Eames, The Gallery at Somes Sound, and The League of NH Craftsman. In 2014 his work was included in the permanent collection of The Currier Museum of Art. Examples of his work have also appeared in the publications Architectural Digest, Art and Antiques and Fine Woodworking Magazine. "I continue to develop a design language for furniture that is calm elegant and subtly sensuous. I feel the use of gently curved lines and surfaces, the warmth of exceptional woods, and ultimately a careful handmade approach will generate furniture that is a comfort to live with."